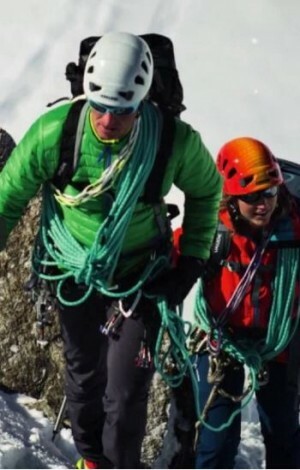 Cort VAUDE incapator, usor de montat si cu greutate redusa. 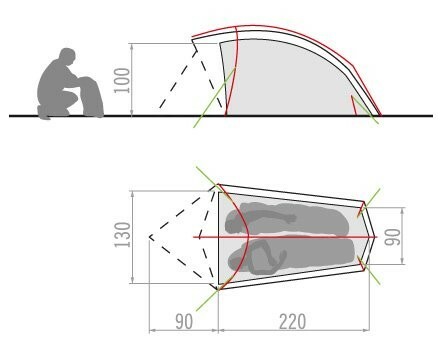 Betele sunt uşor de inserat in buzunarul exterior iar două ancore suplimentare, integrate în zona picioarelor, asigura mai mult loc. La fel ca şi alte corturi VAUDE, are podeaua din poliamidă laminata, rezistenta la o presiune hidrostatica de 10.000 mm si la acid formic de la furnici. Capacitatea este de 2 persoane, are utilizare a spaţiului optimizata si un vestibul. 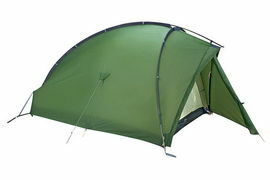 Greutate totala: 1890 g.
Roomy lightweight tent in which the poles are easily inserted into the outer mesh pole sleeves. Two extra pins integrated into the foot area of the tent provide more room. Like the other VAUDE tents, it has a laminated polyamide floor that's waterproof up to 10,000 mm. Drawn forward dome design optimized for space and weight, for fans of light-weight tents. While the foot area remains low, the head and apse area are at sitting height. 20 % longer lifespan - double-sided 3-ply coating for excellent UV reflection. 8 times more tear resistant - 8-11 kg tear strength compared to 1.3 kg for PU coated fabrics. Superior water beading properties, water simply pearls up. Taping - silicon coated fabrics cannot be seam sealed (exception: VAUDE Silicone Seam Seal!). Hand sealing with Silicone Seam Sealer is recommended for use in wet conditions.